I have a client that I really enjoy working with contact me this week. She is currently in the process of helping her sister plan her husband's retirement party. 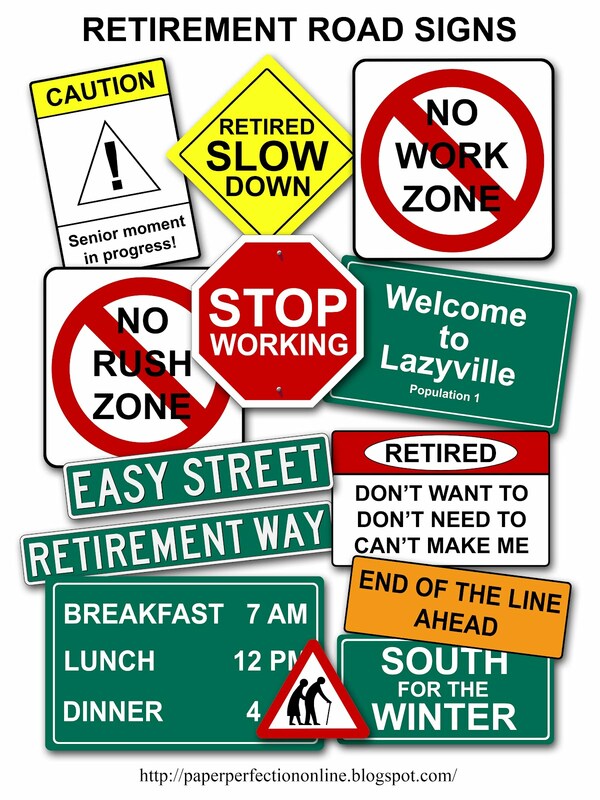 He works for his local city supervising street repair so she thought street signs would be the perfect way to decorate for his party. They purchased cones for center pieces and wanted some street signs to put on dowels to stick through the cones. So she contacted me to make some signs for her and here are the signs that I came up with. These would also make a cute banner across the room by adding them to lettering spelling out "congratulations on your retirement" or something else fun like that. If you are needing help with centerpieces or any type of custom party printables contact Paper Perfection at jtanddolly@yahoo.com for details and pricing. 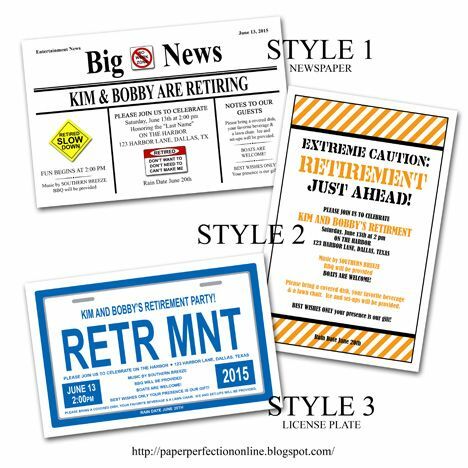 Here are a few invitations that I created for a client looking for a matching invite. 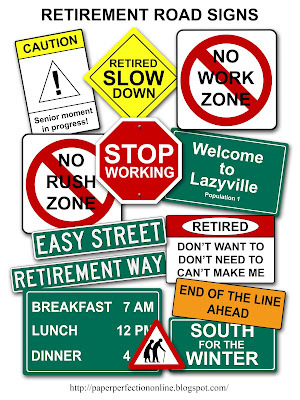 How much would it cost to get a set of these signs made?